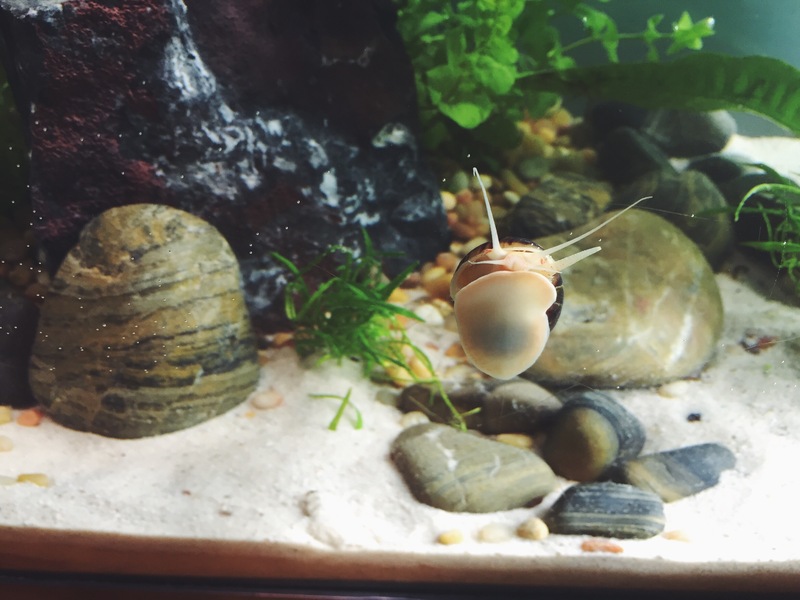 So I was given a 10-gallon tank two days ago and it seemed like a sign to go bigger, lol. Still a Nano setup, but so much more room to work! I tore down my shrimp bowl because I wanted the creeping Jenny and Marimo moss ball for this tank. 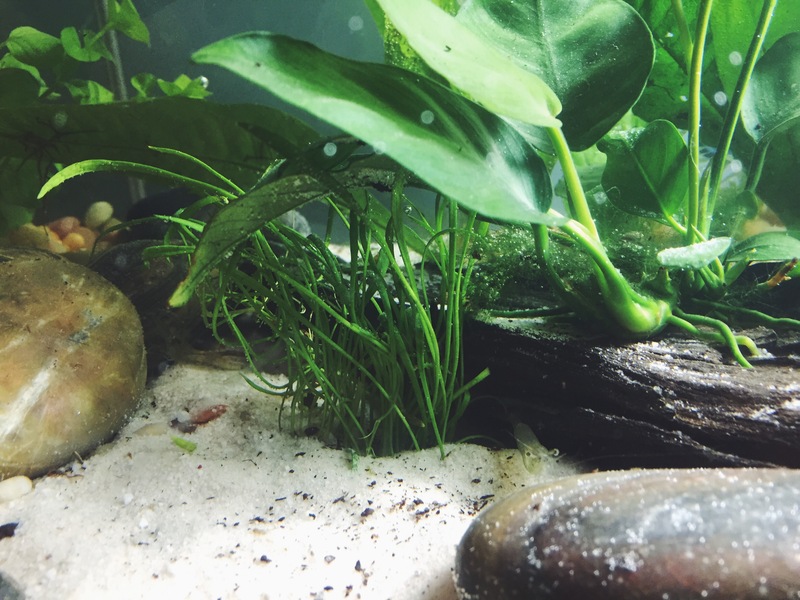 I planted some strands of Anacharis in each corner, as well as sticking the end of the Cabomba strand from the shrimp bowl in the substrate behind the rock. Then there ‘s the two clumps of Creeping Jenny on either side of the zebra rock. On the right we have the sprigs of Anacharis, two Java ferns, and an anubis on driftwood that was so pretty I thought it was worth springing for. It’s already got a bloom on it! It’s little hard to see because it’s hiding under a leaf, but it’s pretty! In the foreground, I divided a clump of Pygmy Sword and planted part in front of the drift wood and part in front of the zebra rock. 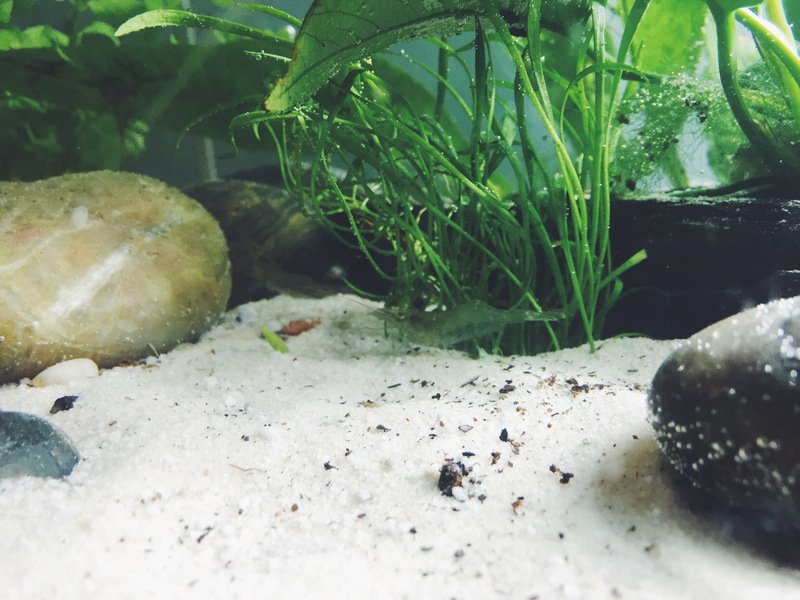 I put some aquarium gravel on top of the sand around the bases of the plants because it helps hold them down and keeps the dirt from seeping through the sand. 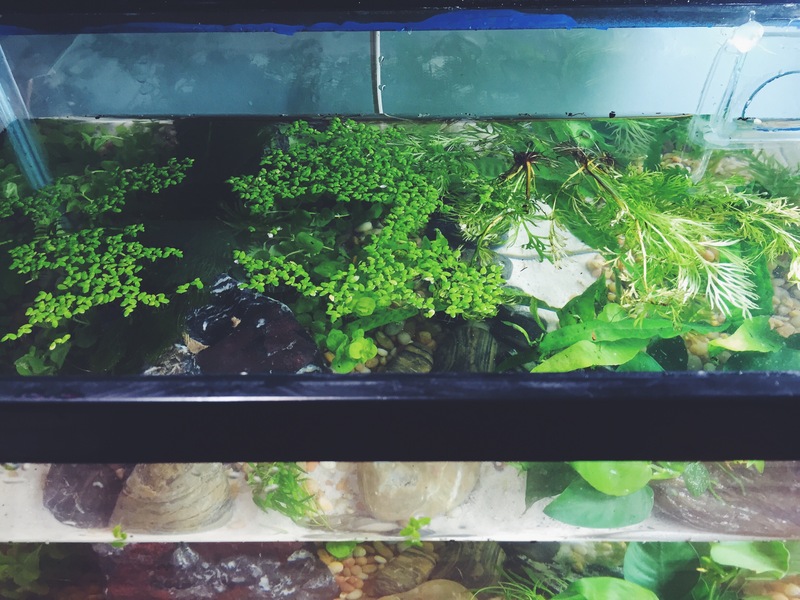 I’ve got duckweed and water sprite floating on the top to help speed up the cycle while the other plants get established. The dirt is a little too thick on the right side, about 1 3/4 inches, but I think it’ll be okay. I had measured a bunch of places and keep it right to 1 inch, but somehow missed that it was ramping up towards the right. Fingers crossed for no anaerobic activity. I’ve heard other people have pushed towards 2 inches and it’s been fine, so I think I’m good, I’ll just be extra careful to poke the soil on that side until the ferns get established. Previous Previous post: Day six! Bowl is cycled! 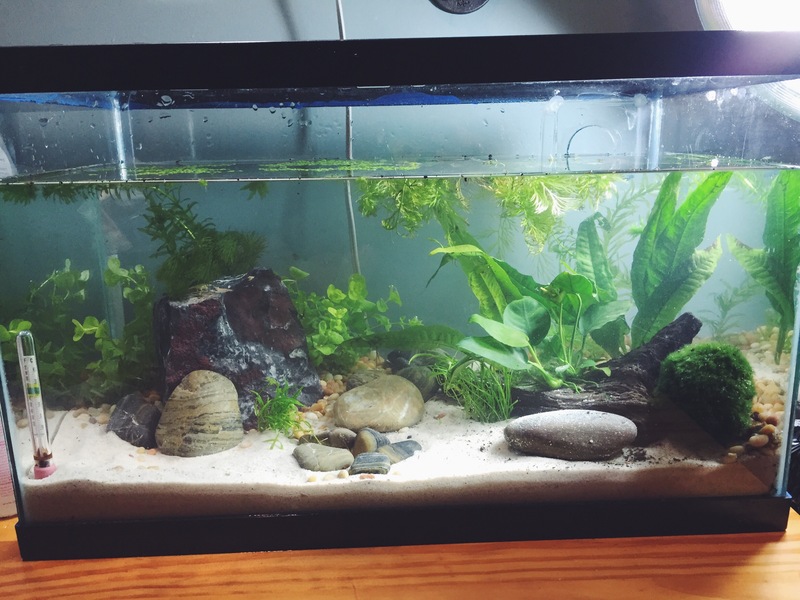 Next Next post: Ten Gallon Walstad with Fish!